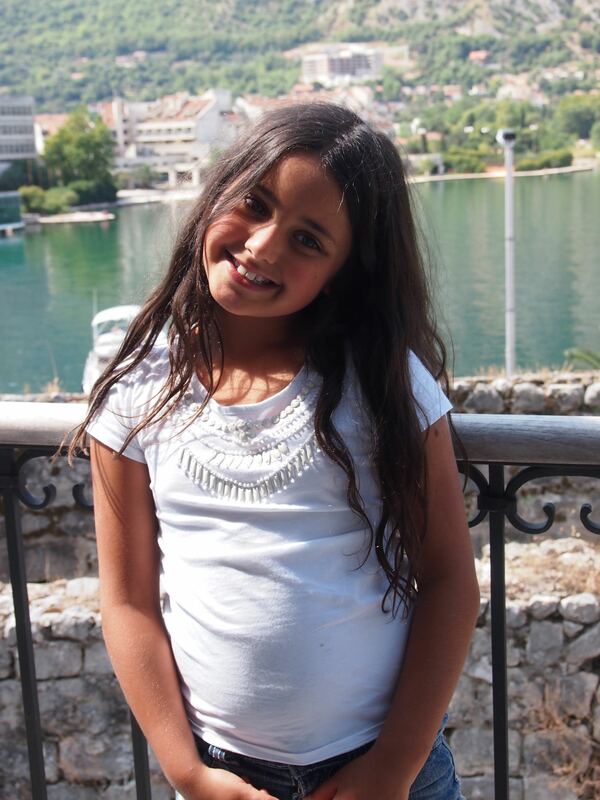 Our visit to Montenegro was by default. Pre planning a 100 day trip can throw some curve balls at times, but a bit of determination and a lot or research can overcome any hurdles you come across. We had planned to make our way from Ostuni to Bari and catch a ferry straight to Croatia with our hire car. The plan was to end our trip in Switzerland where we would drop off our car and continue our journey by train. This was not to be as there is a quirky little law in Croatia, that does not allow you to travel on their roads without original car ownership papers. After spending weeks trying to communicate with Hertz car rental clarifying they would give us access to these papers with no conclusive result and thus waiting to book our cabin on the ferry we discover that the ferry was now fully booked. 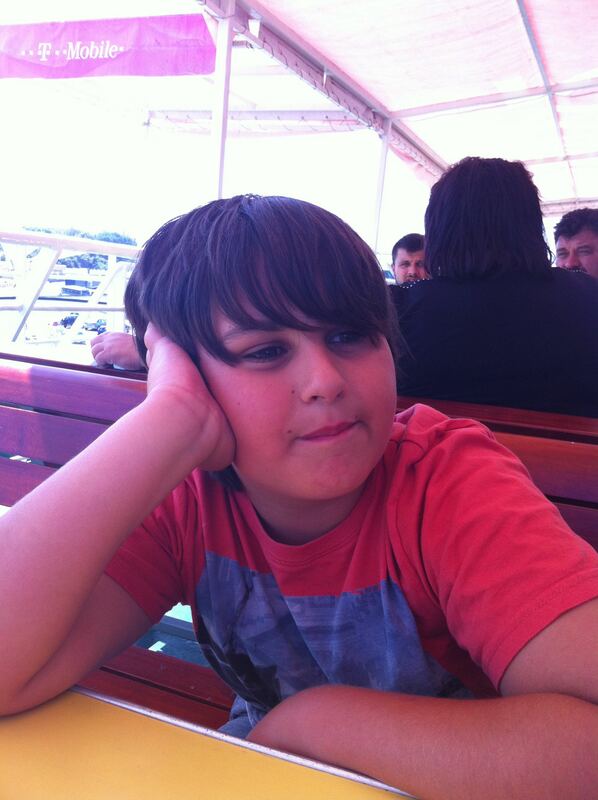 So it was to be that we boarded Montenegro Lines from Bari, Italy to arrive 9 hours later in Bar, Montenegro. Boarding the ferry was a step back in time to the 50’s, I generally like to think of the positive, I can only say the only positive was it did not sink. The negatives – a rickety rust bucket with spartan facilities. The cabin was old and dirty. The restaurant was closed, and the only edible snack the cafe had was potato crisps, the staff were unhelpful, chain smoking continuously. We pulled out a deck of UNO cards and tried to distract ourselves from our surroundings with a few family games. The hours went by slowly and the only consolation as the sun set and night fell was we could see land in the distance getting closer and closer. Safety precautions seemed non existent so luckily the ocean was calm and we arrived safely. 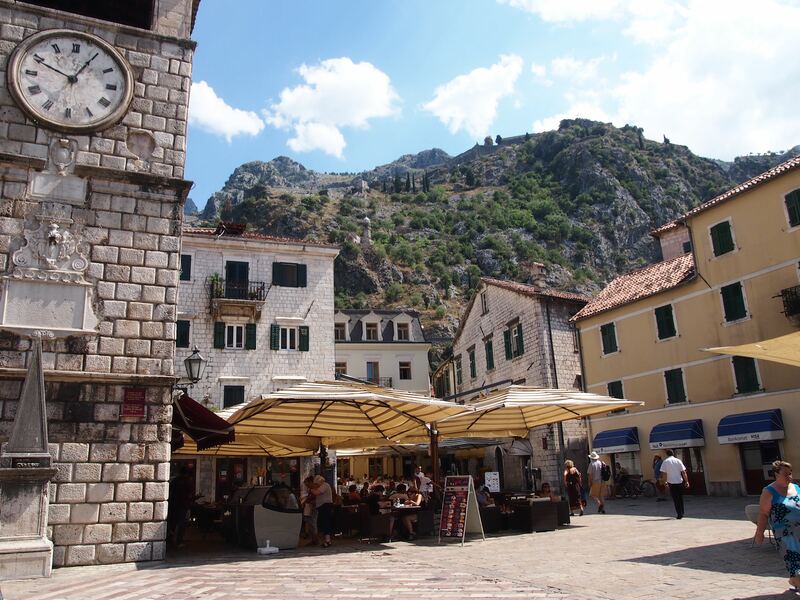 We arrived late at night and had heard that driving in Montenegro could be hair-raising at times, so I had pre booked a transfer to drive us straight to the town of Kotor. Our driver was a cautious one and we managed to avoid many head on collisions on a few of those sharp winding turns. Montenegrin drivers like their speed! The country is bordered by Croatia to the west, Bosnia and Herzegovina to the northwest, Kosovo to the east, Serbia to the northeast, and Albania to the south-east. A small country with a very turbulent past. We only caught a glimpse of it’s beauty as our time here was short and sweet. 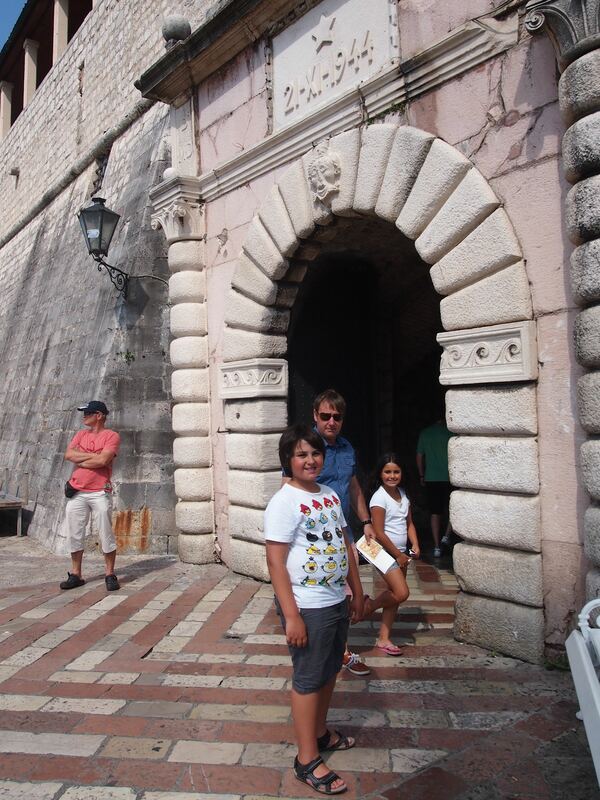 We chose to explore the town of Kotor before our journey into Dubrovnik. 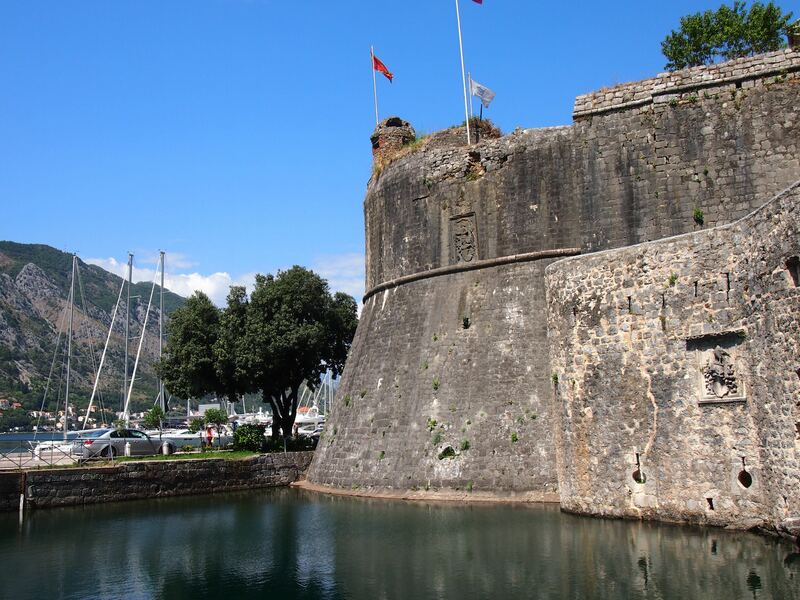 The port of Kotor is surrounded by fortifications built during the Venetian period. It is one of the best preserved medieval old towns in the Adriatic and is a UNESCO world heritage site. After a late breakfast we spent the few hours that we had here exploring the Cathedral of Saint Tryphon built in 1166 and walked the perimeter of the ancient walls getting lost in all the tiny cobble stoned streets. The boys ventured further and chose to climb the 1350 steps directly above and east of the Old Town, on almost vertical cliffs, up the meandering upper town walls. It looks a little like a short version of the Great Wall. From up above, there is an excellent view of Kotor and the bay from the St John’s fortress on top. After a leisurely lunch in the Main Square we picked up our bags from our hotel and took the scenic one and 1/2 hour drive (90kms) over the border to Croatia and the beautiful town of Dubrovnik.